Eckmeier loves to garden and especially enjoys watching the birds, bees, and butterflies coming to visit. 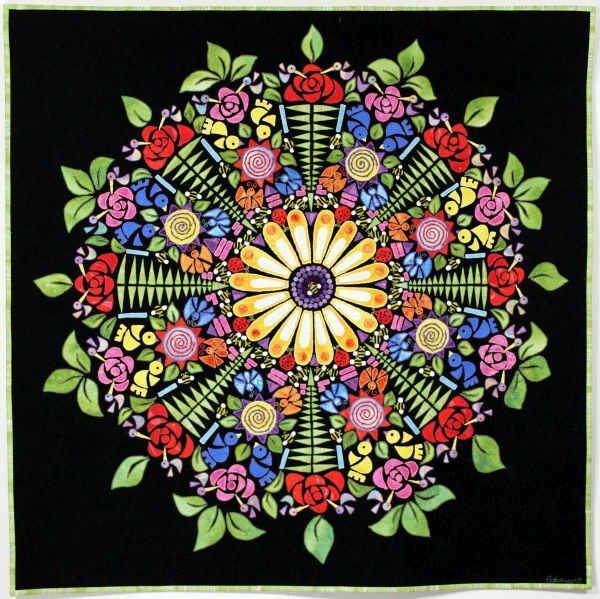 This quilt celebrates that joy in a kaleidoscope/mandala format. This quilt received First Place in the 2010 American Quilter's Society competition/exhibition in Paducah, Kentucky.